What is a vocation? It’s something that is in alignment with your purpose but in the same time something that the world is in need of. There are many things that the world needs these days. From healthier environments to better ways of using energy, the options are countless. However, we are all unique and we can all serve other people in our own unique ways. That’s why it’s important to find your own unique vocation. You have special gifts and the world is in need of these gifts. Maybe you are good at building things or maybe you are good at creating art. 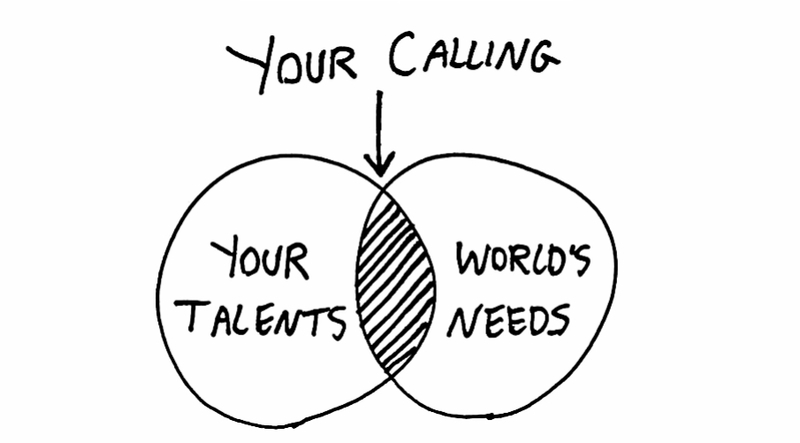 Whatever your talents are, they are linked with your purpose. And from there you can find your real vocation. 1. Write down all your talents. Take a piece of paper, a pen, and start writing all the things you think you are talented for. What are the things that you do much more easily than the average person? What gives you more energy than it takes? Write those things down. All of them. 2. Write all the problems you solved. Every single person has dealt with some kind of problems. What are the problems that you dealt with and you overcome? What are the problems most people have that you are at least one or two steps ahead of them? Answer these questions. 3. Find the people you can help out. You know your talents, you know what problems you can help others solve or at least guide them through. Now use social media to find out such people who need someone to help them. Look in groups and forums. As you find them offer them help.